Businesses must collect the analytics applied to data, otherwise, it's just tons of data with limited use. 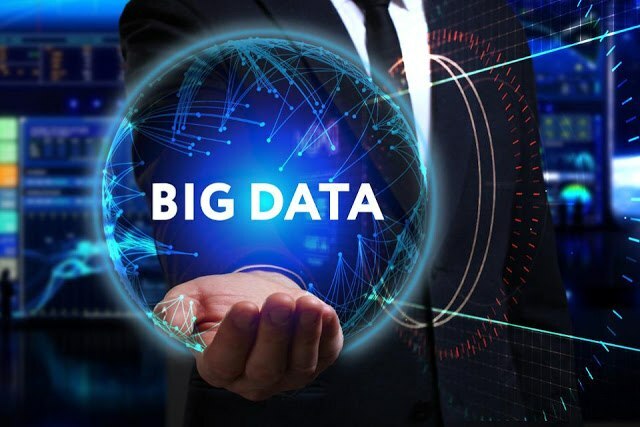 When a company applies analytics to big data, they can see the benefits such as an increase in sales, improved customer service, a greater level of efficiency, and an increase in competitiveness. This data must be analyzed to gain insight or come to a conclusion about what the data has to offer, such as future activity predictions or the latest trends. When analyzing data, a business can make better choices in their business decisions, when and where to start a marketing campaign. This data will also help them understand when they should introduce a new product or service onto the market. Analytics is also known as a basic business intelligence application or productive analytics that is often used by scientists. Other advanced kinds of analytics are known as data mining which evaluates large sets of data to understand patterns, trends, and relationships. Exploratory data analysis not only identifies patterns and relationships but confirms data through statistical techniques to discover if a set of data is true. Another distinction is the analysis of numerical data that is measured on a numeric sale. Interval and ratio scales are quantitative, i.e. a country's population. A qualitative data analysis focuses on nonnumerical data including images, text, etc. In order for big data to work properly, a business must have an infrastructure in place to collect and house this data and provide access to it. The information must be secure while in storage and in transit. At a higher level, the storage systems and servers must be designed for big data, data management, and integration software. Also, your business intelligence and data analytics software and applications must be in place. The majority of infrastructures will be on-premises for companies to continue leveraging their data center investments. More and more, businesses rely on cloud computing services to take care of their big data needs. In order to collect data, there must be sources in place to carry it out. This includes web applications, social media channels, mobile apps, and email archives. As IoT has become more established, businesses should have sensors on all their devices, vehicles, and products to gather their data. Also, new applications that generate user data will become more critical. IoT big data analytics provide their own specialized tools and techniques. In order to store all this incoming data, a business must have good storage in place such as traditional data warehouses, data lakes, and cloud-based storage. Security infrastructure tools might include data encryption, user authentication, other access controls, monitoring systems, firewalls, enterprise mobility management, and other products to protect their systems and data. Apache's Hadoop project develops open-source software for scalable, distributed computing. Hadoop is a technology that is most closely associated with big data. Hadoop's library is a foundation that provides the distribution for the large sets of data across extensive groups of computers that are using simple programming standards. It's developed to scale from a single server to thousands with each providing local computation and storage. - Hadoop Common: which are common utilities that support other Hadoop modules. - Their File System for distribution: measures the access to the data. - Hadoop YARN: the core for scheduling and group support management. - Hadoop MapReduce: which is a YARN-based system for parallel processing of large sets of data. This is an open source cluster-computing foundation that works as an engine for processing big data in Hadoop. It is one of the best big data distributing processing structures that can be sent in many ways. Spark offers native bindings for Java, Python, Scala and specifically for Anaconda Python distro, and R programming languages for big data. It also supports SQL, streaming data, machine learning, and graph processing. Data lakes are storage repositories that house very large volumes of raw data in their native format until it's needed. Digital transformation actions increase the growth of data lakes and IoT Data lakes. They are developed to make it easier for you to access enormous amounts of data when you need it. Traditional SQL databases are designed for dependable transactions and ad hoc questions but are limited, making them less satisfactory for some applications. NoSQL databases address these shortcomings, storing and managing data in ways that will allow for increased operational speed and greater flexibility. Many of these databases were created by companies looking for improved ways to store content and process data for huge websites. NoSQL database can be extended horizontally across thousands of servers. An IMDB (in-memory database) is a management system that basically depends on main memory instead of disk for data storage. These databases are faster than disk-optimized databases which is important to keep in mind for big data analytics, the creation of data warehouses, and data marts. There are certain skills required for big data and big data analytics. These skills are found either within an organization or through outsourcing. A lot of these skills are related to important big data technology components including Hadoop, Spark, NoSQL, IMDB, and analytics software. Other skills are acquired through precise training including data science, data mining, statistical, and quantitative analysis, data visualization, general programming, data structure, and algorithms. There is also a growing need for people with overall management skills to oversee big data projects until they are completed. Because big data analytics have become high in demand, the shortage of people with the right skills has become a challenge for most businesses. Companies can analyze customer data to improve their customers' experiences, improve their conversion rates, and increase retention through Customer Analytics. Companies can increase their operational performance and improve the use of corporate assets. Operation Analytics can help businesses find solutions for running more efficiently and improving their performance. Data Analysis helps businesses discover suspicious activities and patterns that suggest there are fraudulent behaviors taking place and reduce the risks. Data analytics is also utilized to optimize the price a company is charging for their products and services to increase their revenues. No Comment to " The Difference Between Data & Big Data "